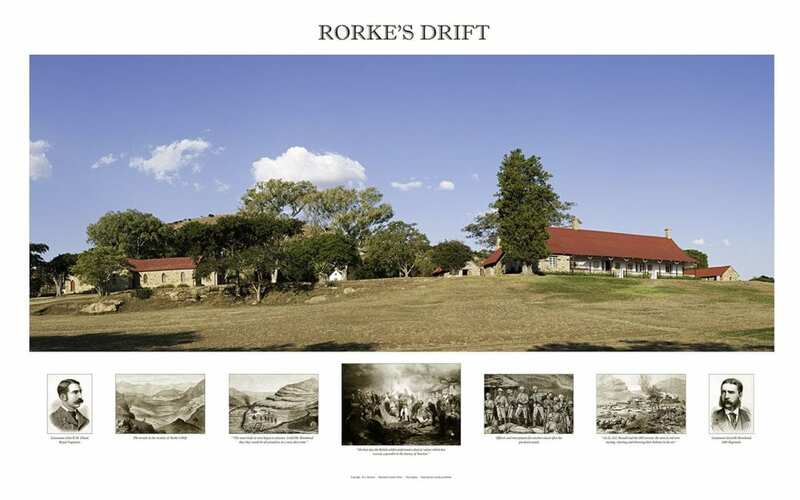 Today being the 140th anniversary of the Battles of Isandlwana and Rorke’s Drift provides much food for thought. After David Rattray invited me in 2000 to join him sharing stories on these famous battlefields, the rest as they say is history. These stories having provided the spine of our existence over the past 19 years, despite expanding my storytelling to include other areas of interest. It is often said that the greatest adventure is to live the life you love. I consider myself extraordinarily fortunate to be doing just that. After a fantastic Christmas with family in Johannesburg, despite the breathless heat, we then joined my brother and his wife, Gina, at the Vaal Dam. A wonderful time together, pondering the year ahead, full of promise, their new home and hopefully an improved situation in South Africa. Both Pete and Gina have the most genuine and infectious laughter – it is a special tonic. I have been fortunate enough in the past to speak at East Meon, a tiny hamlet along with West Meon in Hampshire. Who would ever have believed that one of their guests would invite me to speak at their conference in Northamptonshire early in January 2019? A delay on the Durban-Johannesburg flight forced me to run to Immigration, fight my way to the front of the line (which I hate), and then sprint to the Virgin flight bound for London. I was fairly sure my luggage had not made the London flight, and so it proved. The very understanding taxi driver took me to M&S in Milton Keynes to buy a shirt, socks and underwear. Virgin commit to getting luggage out within 24 hours of its arrival at Heathrow, to addresses within 60 miles of the airport. Therein lies a tale, as Whittlebury Park is 71 miles from Heathrow! Anyway, I begged the Baggage Services to assist me, given that my clothes, books, etc were all in my bag. They upgraded my case to Priority, and along with THS Couriers who were tremendous, I got my bag 4 hours before the Gala Dinner began. There is no doubting that the sense of relief assisted in my giving a talk which was extremely well received. If anyone suggested I would one day fly to England for two nights to deliver a talk, I would have considered them mad. Life is great. As affirmation of how great Life is, a last minute booking came as a special bonus, to speak at a conference at Rain Farm Game Lodge inland of Umhlali. After attending the memorial service of my dear friend Nicola Frudd Clarke, who was called to rest aged 49, I flew down from Lanseria to King Shaka on a hot, humid, windy Friday. The Sales Director had chosen to move away from the traditional sales conference, to a more holistic, cultural, thought-provoking event, which turned out to be a great success. Innovative thinking at its best. I often speak about the effects of the volcanic ash cloud created by the eruption of Mt Tambora in 1815. The resultant crop failures in Africa and Europe had far-reaching implications, including the development of the bicycle as there were no oats to feed the horses. On a local scale, the present heat and drought conditions across much of our country are most concerning. Cry, our beloved country, for so many reasons. Yet there is so much to remain optimistic and buoyant about.